Summer is already half over, but that doesn’t mean your child can’t enjoy the last few weeks before he or she has to go back to school. While it’s just a few weeks into July, before you know it, it’ll be August and you’ll be gearing up to go back to school shopping and getting class assignments. 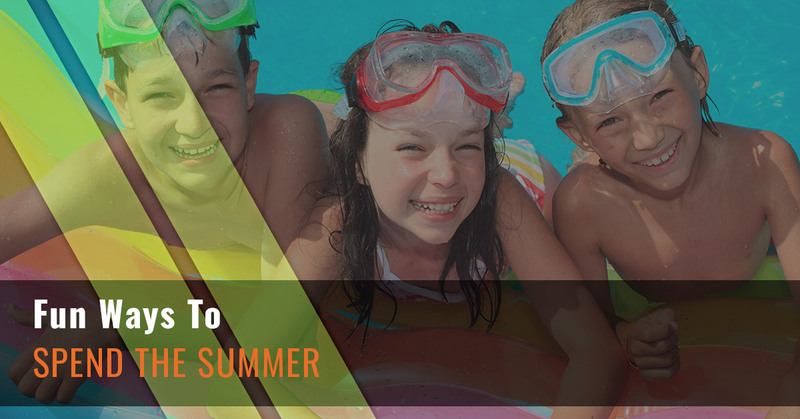 Before you have to dive into the back to school craziness, take some time to find some fun ways your child can spend the rest of his or her summer. One of the best ways to encourage your child to get active and keep his or her brain sharp is by checking out everything our kids gym can offer. Our kids gym is the best way to spend the rest of the summer and a great after school activity during the school year. Contact us for more information on Hot Ground Gym® in Vernon Hills. You probably have fun summer things already planned for your child, but if you have a week or two that doesn’t have any plans, then we can help. These enjoyable things can occur in the downtime that you have between vacations or camps or they can occur for weeks through the summer. What’s great about these activities are how flexible they are with the school. They’re suggestions to help your child be more physically and mentally ready for the school year to start. Whether you want to make sure that your child is prepared for the start of the school year mentally or you’d like them to get some physical activity, Hot Ground Gym in Vernon Hills is the place to go. Hot Ground Gym in Vernon Hills is a kids gym that focuses on body and mind childhood development. This gym isn’t just a regular gym but a kids fitness facility that focuses on a three pronged approach as well as the five guiding principles. The three-pronged approach focuses on character, physical, and mental development. The five pillars target obstacle course fitness, problem solving, teamwork, leadership, and discipline. Whether you’d like to sign your child up to enjoy some fun and active summer adventures or blow off some steam after a long school day, Hot Ground Gym is just the place for your little one to come to have an enjoyable experience. Another way to spend the remainder of the summer is by going educational. It’s thought that many children forget school-related material during the summer because they aren’t actively learning anything. Some parents may purchase math books or encourage reading for their child to stay sharp and others may enroll them in camps that are specifically geared toward learning. One of the ways to help keep your child sharp, other than workbooks and reading programs is by going to to do educational activities. For example, you could take your child to the museum, planetarium, library, or go on a nature walk. There are so many fun ways to learn and so much to do, you can make a learning moment out of many activities. At Hot Ground Gym, we strive to incorporate an education element into each activity we do. Living in Illinois, it’s not always a beautiful day, so it’s best to take advantage of them as much as possible. Enjoying the great outdoors in the summer — even if it’s really hot — is a great way to get active, but also ensure your child knows the benefits of nature. With technology all around us, getting in touch with nature, especially when you’re young can help teach a child how valuable the earth truly is. While there aren’t mountains in the Greater Chicagoland area, there is one of the five Great Lakes, which is always a treat to check out. The pool is always a great place to check out. Not only can it encourage your child to make friends, but it can also help your child learn to swim better. Spending time in the pool in the summer will provide some relief from the scorching heat. It’s also a great place to enjoy some time outside. Swimming is a great fitness activity that all kids should try out. You can enroll your child in swim lessons or take them to the neighborhood pool. If you’re interested in enrolling your child in a program that will ensure they are learning while exercising, then try out Hot Ground Gym. Visit us in the summer, fall, winter, or the spring!